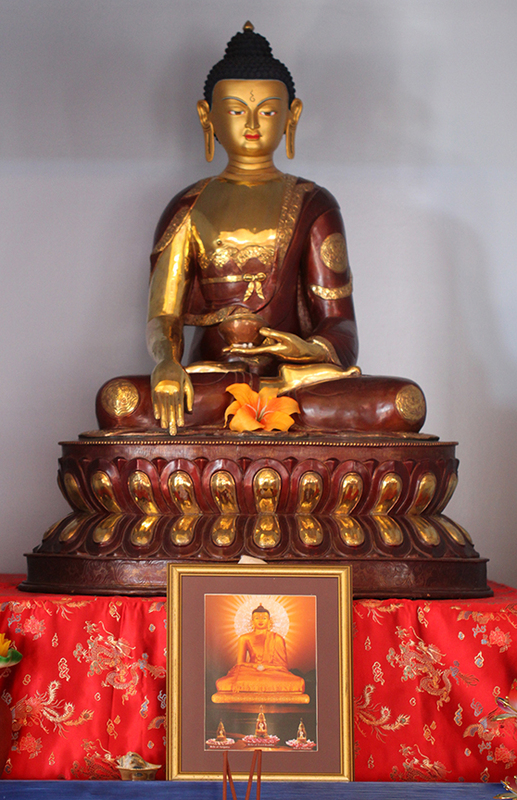 In addition to the foundational Mahayana practice of bodhicitta offered in the Bodhisattva Peace Institute programs, Iron Knot Ranch, as the residential center of the 501(c) 3 tax-exempt non-profit Chagdud L'hundrub Ling, maintains practices of the Nyingma school of Tibetan Vajrayana Buddhism. 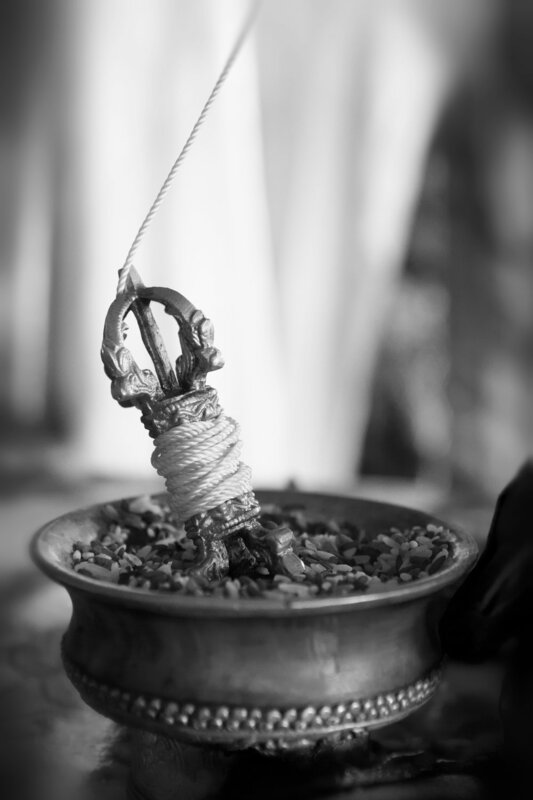 With the motivation to help all beings awaken from suffering, the Vajrayana practitioner relies upon the extraordinary skillful means of the Vajrayana to accumulate merit and wisdom, cultivate pure perception, and fully realize mind's nature. 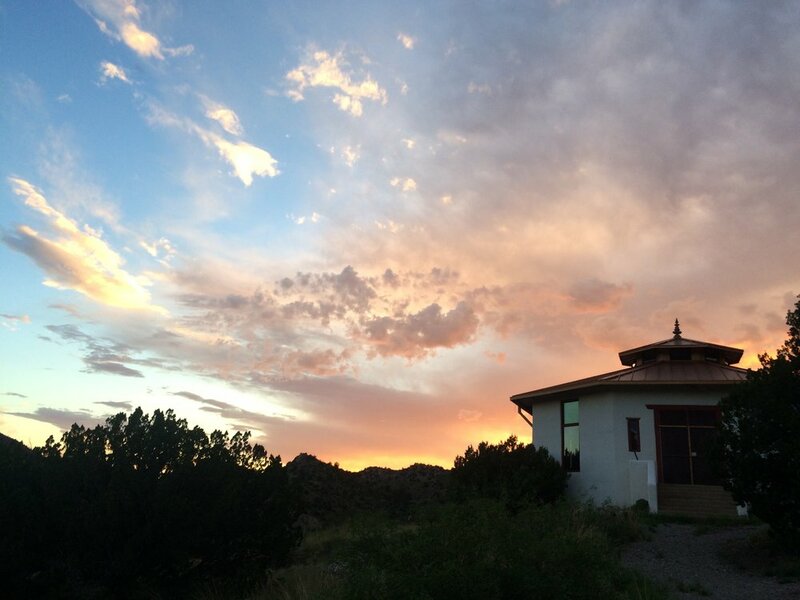 Iron Knot Ranch residents and visitors participate in daily group prayer and meditation practices, the purpose of which is to help participants generate loving-kindness, compassion and wisdom. 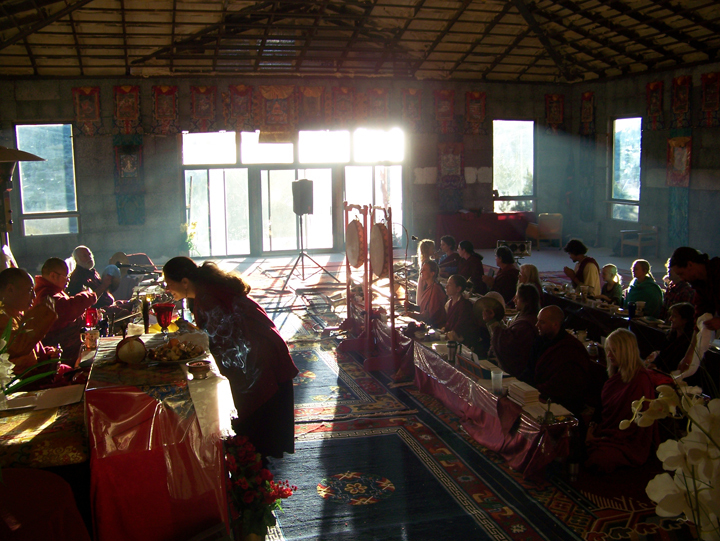 Lama Shenpen and visiting lamas provide instruction and training in meditation practices in the context of the daily prayers and as weekend or week-long retreats. Eight days a month, on special holy days, during certain extended retreats, and on auspicious occasions such as the blessing and consecration of sacred representations of enlightened body, speech, and mind, we do extensive ceremonies for the benefit of all beings. If you would like to make a one-time or regular contribution on one or more of these occasions and dedicate it to friends or relatives, living or deceased, we will read your dedication aloud in the course of the ceremony. 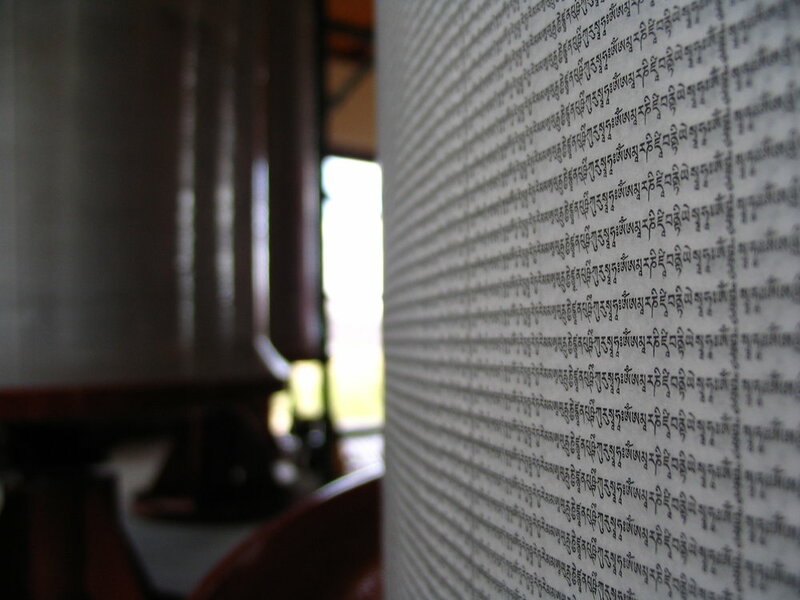 At any time, you may add someone's name to our prayer list. There is one list for prayers for removal of obstacles and another for those who have died in the past 49 days. This mandala of activity is centered at Iron Knot Ranch, but encompasses friends, family and those in need throughout the world. This Vajrasattva practice, a treasure of the Dudjom Tersar lineage, is called Dorsem Lama Chodpa, or Offering to the Lama as Vajrasattva. It involves multiple, powerful skillful means for accumulating merit and wisdom, and purifying obscurations and broken and impaired samayas (spiritual commitments received through Vajrayana empowerment), all of which are indispensable for total awakening, or enlightenment. This wrathful practice of Vajrakilaya from the Dudjo Tersar lineage, is an extremely powerful means to remove obstacles of any kind, including obstacles to health, longevity, activity, spiritual practice and, ultimately, to realization of enlightenment. This three- to five-day retreat culminates on the anniversary of the passing of our teacher, Chagdud Tulku Rinpoche. During the retreat we accumulate a 100,000 tsog offerings in order to purify obscurations, accumulate merit and wisdom, and honor and strengthen our connection with Rinpoche in this and future lives. These include the "Great Wheel Days" commemorating miraculous deeds in the life of the Buddha. One of the traditional Buddhist methods for generating vast amounts of virtue to help remove hindrances to the recognition of our true nature and to support our ability to benefit others is the creation of rupakayas, representations of enlightened body, speech, and mind. 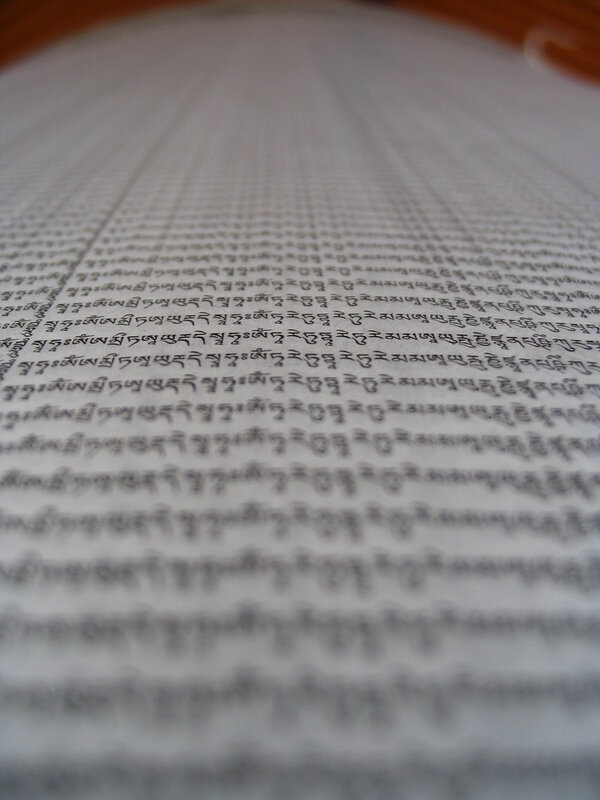 These include statues, t'hangka paintings, prayer wheels, and other physical representations. Just as one candle lights another, contact with such representations establishes a connection between our latent positive qualities and those actualized by enlightened beings. This is a powerful way to nurture the causes of peace and good fortune in difficult times and to pacify the negative forces of disease, war and famine. No matter who adds oil to the lamp, everyone benefits from the light. The virtue generated by the creation of rupakayas serves to illuminate a darkened world. 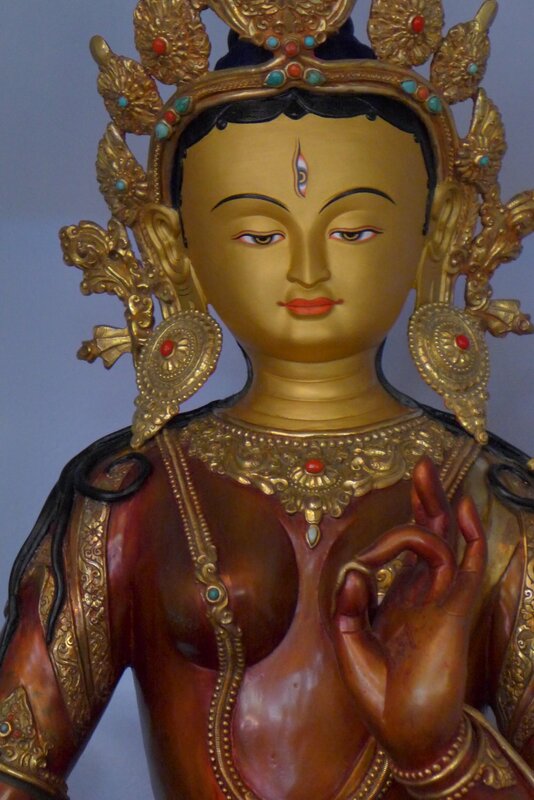 Under the direction of our resident teacher Lama Shenpen Drolma and visiting lamas and artists, we are engaged in the ongoing creation of such precious representations. 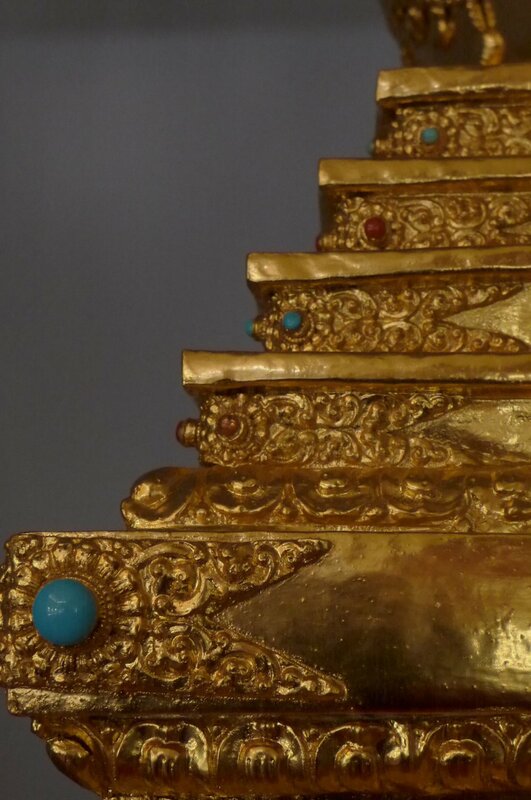 Our temple (lha khang in Tibetan) is nearing completion and hosts ceremonies and teachings. It is also home to numerous statues (representations of enlightened form), sacred texts containing the words of the Buddha and great Buddhist masters (representations of enlightened speech) and a stupa (representation of enlightened mind). 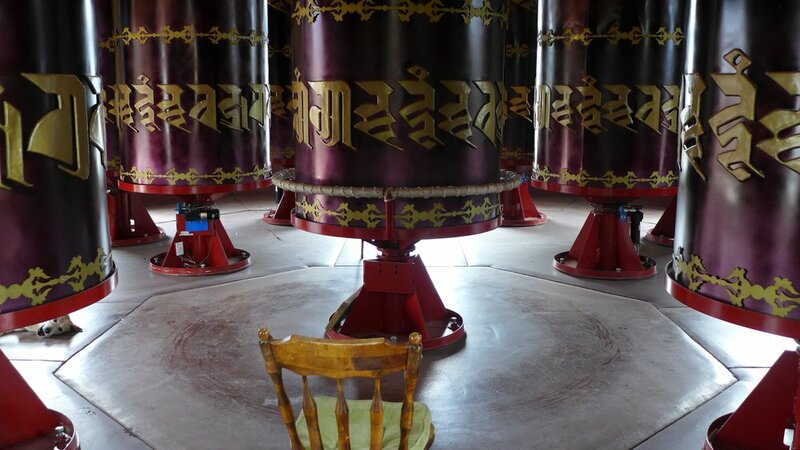 A separate prayer wheel house contains seventeen twelve-foot-high prayer wheels, which contain hundreds of billions of mantra (enlightened speech) turn day and night at Iron Knot Ranch. One of these wheels is spun by hand, as has been done for centuries in Asia. 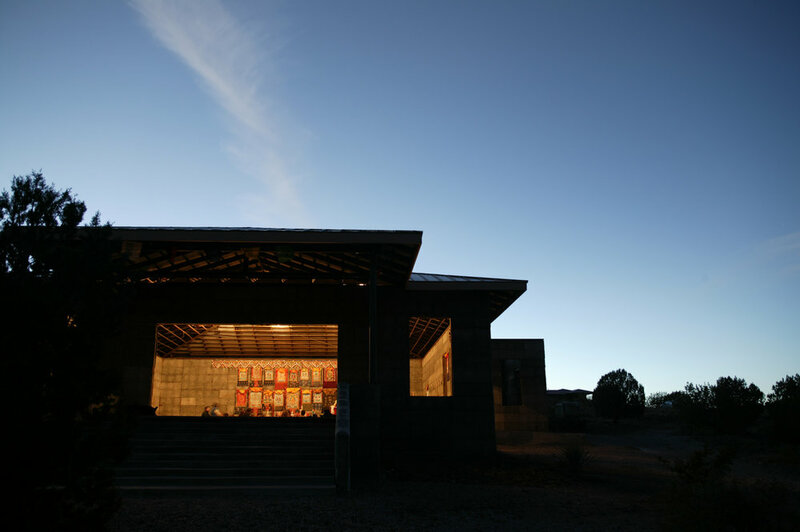 The rest are solar-powered and turn twenty-four hours a day, everyday throughout the year. 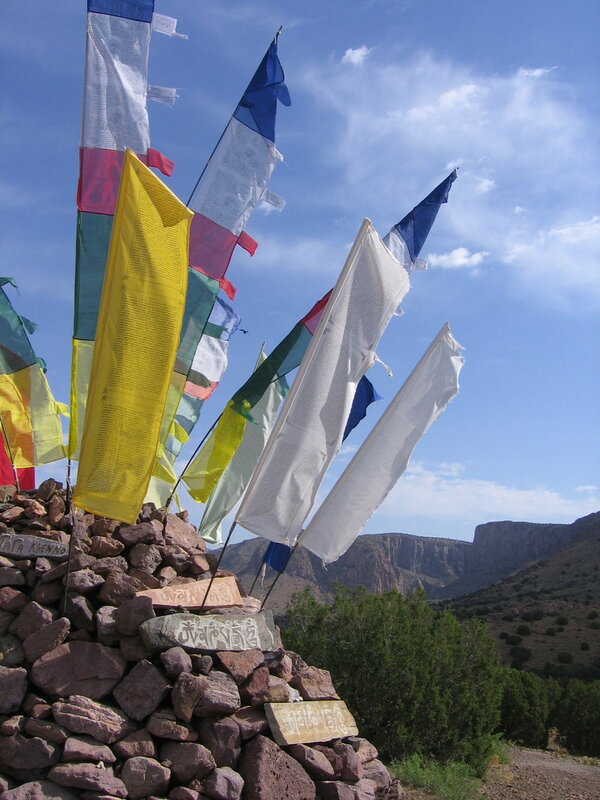 These and the prayer flags which adorn the land radiate the blessings of enlightened speech in all directions.